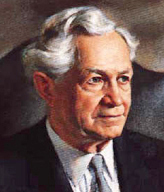 In April of 1951, at the age of 77, David Oman McKay was sustained as the ninth President of The Church of Jesus Christ of Latter-day Saints. He served in that position until he died on January 18, 1970, at the age of 96. Having been ordained an Apostle by President Joseph F. Smith in April of 1906, he served almost 64 years as a General Authority, longer than any other man. 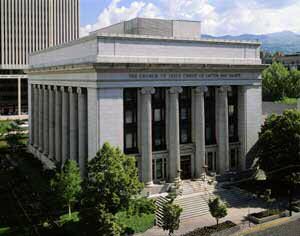 During the nearly 20 years he served as President of the LDS Church, he also served as the head of the Board of Trustees of the Church school system, which governed Brigham Young High School. During those same years, B.Y. High School completed its final 17 years of service. President McKay was revered by Church members and many others worldwide as a Prophet of God. As he urged Church members to develop Christlike character and to share the gospel through both teaching and example, the Church experienced rapid growth throughout the world. Most of the young men and women who graduated from B.Y. High who soon thereafter served Church missions, and who are still living, received their mission calls from David O. McKay, with his personal signature on the call. In addition to his teachings, President McKay's physical appearance made a powerful impression. Upon meeting him, many people commented that he not only spoke and acted like a prophet, but that he looked like one. Even in his later years, he had a tall, impressive physique and thick, wavy white hair. His countenance radiated the righteous life that he led. President McKay and his wife Emma Ray were frequent visitors to the BYU campus, and their example of love and family harmony was followed with great success by many generations of Church members. B.Y. 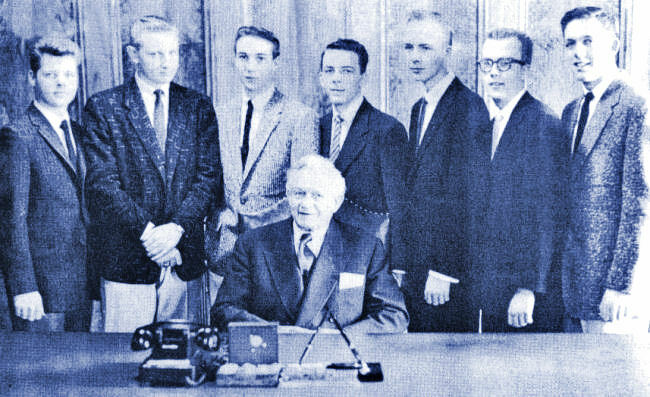 High students were invited to attend speeches by Church leaders, including President McKay, and other distinguished visitors to the BYU campus. Each year since 1951, President McKay's photograph was published in the BYH yearbook as the head of the Board of Trustees. 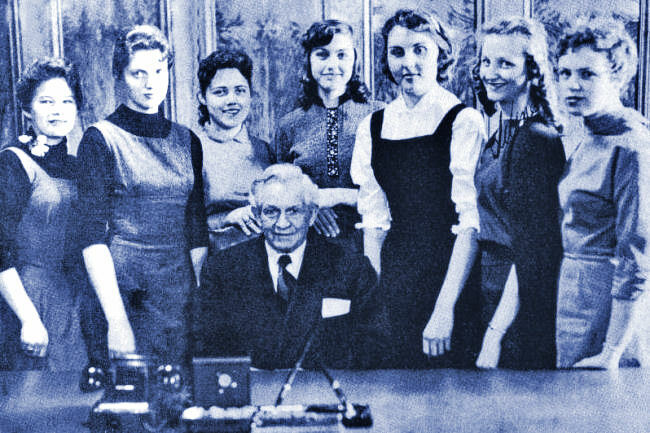 During the 1956-1957 school year, BYH Wildcat yearbook advisor Alex B. Darais wondered aloud if it would be possible for the student staff members to pay a rare visit to President McKay in his office in Salt Lake City to seek a personally autographed photograph to be published in that year's annual. This idea grew and was approved. One day the entire yearbook staff drove to the Church Office Building, where they were ushered in to visit with President McKay. Upon their arrival, the then 83-year-old President declared, "I am always happy when surrounded by young people." As he met each yearbook staff member, he recalled personal experiences and associations that he had enjoyed with their relatives, parents and grandparents. He laughed as he quoted the Copy Editor's great-grandfather as saying, "I dislike people with granite fronts and adobe backs." His warm sense of humor was evident throughout the visit. 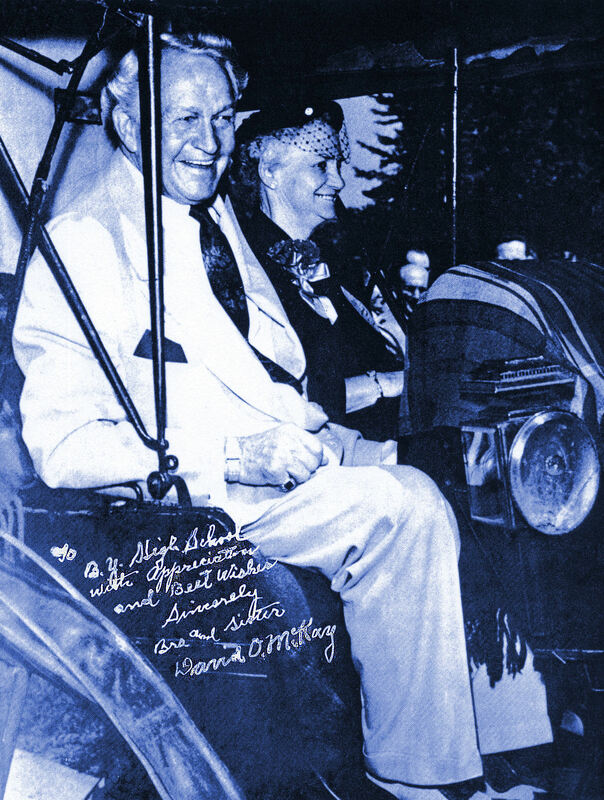 He produced a favorite photograph of himself and Sister McKay sitting in a horse-drawn buggy, and autographed it for publication in the yearbook. He had a little difficulty in opening the bottle of white ink that had been provided. Someone suggested that the Editor, Gary Boyden, try his hand at it. "Do you mean to say that I can't do it?" he asked, trying again with his farmer's grip. "I can't," he concluded, and handed it to Gary with a smile of chagrin. Then when the ink would not flow as smoothly as he wanted from the old-fashioned scratch pen onto the photo, he smiled and said, "You get either a flood or a drought. These things test your self-mastery." He went out of his way to mention his love and respect for Mrs. McKay, gently saying, "We are one, you know." Then the staff, too numerous to crowd into one frame, posed for two separate photographs with President McKay. The photographs were taken by BYH faculty advisor, Alex Darais. President David O. McKay, center. Left to right, Sandy Asay, Aniene Andrus, Kathleen Thurman, Laura Jo Dunkley, Pamela Gease, Selene Sandberg, and Kelly Ashby. President David O. McKay, center. Left to right, Robert Redd, David Jacobsen, Douglas Jones, Donald Swenson, Jon Hicken, Roland Clark, and Gary Boyden. As the large group of B.Y. High students reluctantly departed, each student carried away his or her own special impression of this great and remarkable man, educator, farmer, missionary and prophet. Although 1956-1957 was the last year for teacher Alex Darais at B.Y. High, before he was promoted to become a BYU faculty member in the Department of Art, his idea was wonderful and helped make the 1957 Wildcat yearbook an exceptional experience, particularly for his student staff.